Luxury Giveaway Winners Review, Comment and WIN! In my two decades of covering the skincare, makeup and fragrance industries, I’ve noticed that perfume enthusiasts are particularly passionate about the art of scent. I have followers who can tell you the difference between a chypre and an Oriental. They know the essential oil concentrations in eau de parfum versus eau de toilette. And they know long before anyone else when a special limited edition bottle is going to be released. I love that fact that they get such joy from fragrance. This feedback is particularly rewarding to the master perfumers that I interview as editor of BEAUTY the guide. These craftsmen spend years refining and perfecting a single scent – often creating two to three hundred different versions for a blockbuster designer launch. I believe there were several hundred versions of Lancome’s La Vie Est Belle until the exact blend was achieved. To celebrate fragrance fans everywhere, I’m giving away a special blog prize of designer men’s and women’s fragrances. You’ll find a wide range of scent categories and moods. And don’t be afraid to try both the men’s and women’s scents. I find that woody scents smell particularly good on women – just give them a bit of time to dry down. 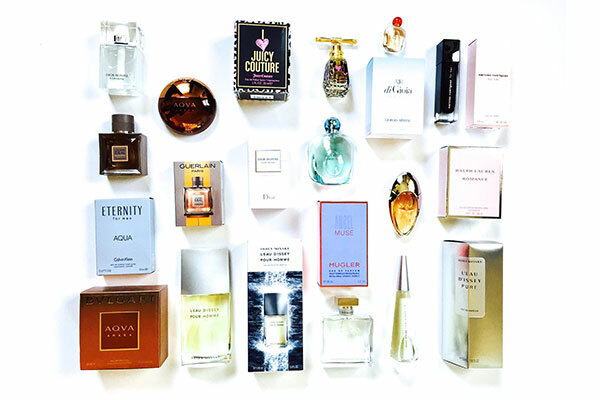 The Giveaway: I gave away this collection of designer fragrances worth over $1,000 to one lucky reader. To enter, I asked readers to tell me in a blog post comment below which fragrance are they most interested in trying? Shireen P from Canada told us and we drew her name at random from all those who entered. Congrats Shireen! Oh, I absolutely adore Ralph Lauren’s Romance! Fingers crossed! I’m most interested in trying Ralph Lauren Romance. Thank you! I would like to try the Calvin Klein Eternity Aqua.This is an awesome sweepstake. Good luck to all that has entered. I can’t find Angel Muse anywhere so I’d love to try it! Also, I remember Romance was such a popular scent a few years ago but ive actually never tried it either. The BEST giveaway everrrrr! OMG I would have a heart attack if I won! The fragrance I’d most like to try is Ralph Lauren Romance. I’ve heard great things but I’ve never tried it. I would love to try all these wonderful products. Thanks for the chance!! !